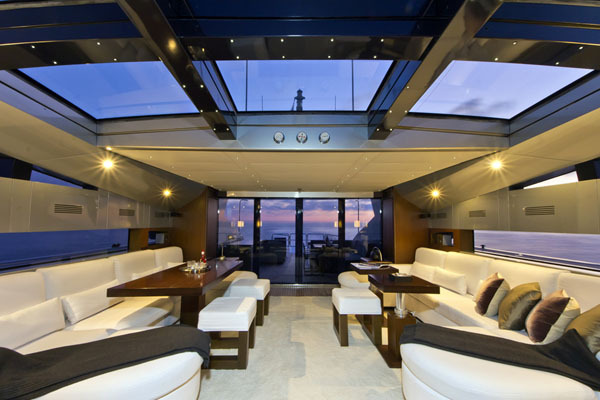 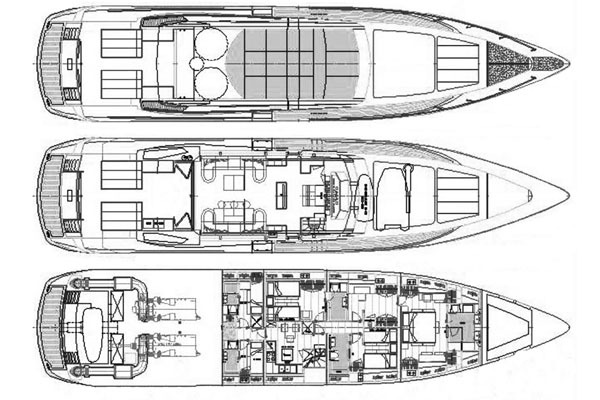 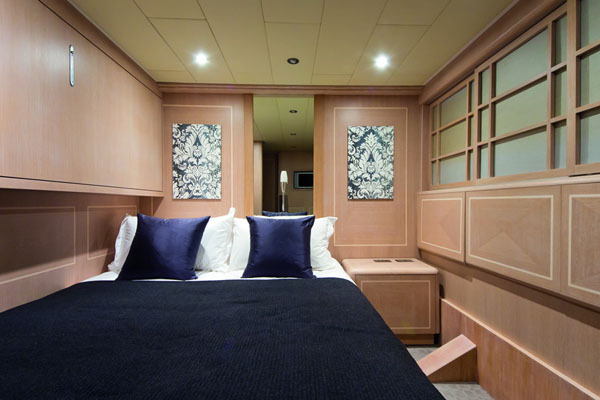 High Roller was built in a visionary style intended to create an open and fluid motoryacht thanks to the intelligent use of day light, clean lines, contemporary furniture and rich oak finishes. The outdoor spaces of High Roller include a rear deck platform, a large forward area for sunbathing along with a swim platform. 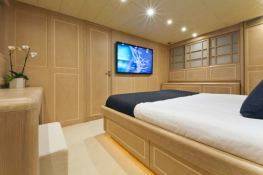 This Baglietto yacht charter can accommodate up to eight guests in three cabins, including one master and two VIP cabins with Pullman berths. 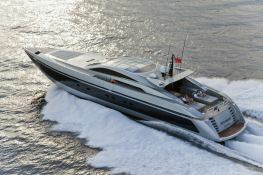 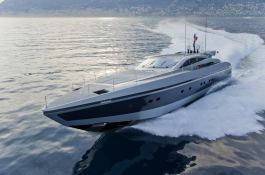 This High Roller is available for yacht charter with a base price of 55 000 € (approximatly 62 026 $).